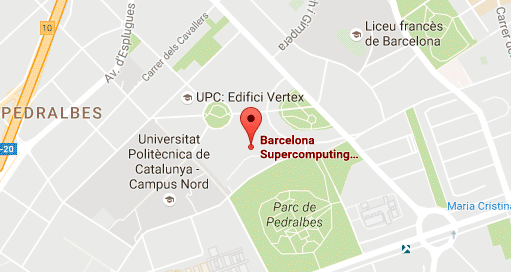 Salvador Capella-Gutierrez leads the Spanish National Bioinformatics (INB) Coordination Node at the Barcelona Supercomputing Center (BSC). His current focus is on the development of long-term infrastructures to facilitate the scientific benchmarking and technical monitoring of bioinformatics tools, web services and workflows in the context of ELIXIR, a pan-European distributed organization across 21 countries and more than 180 institutions. His team is also responsible for the technical coordination of ELIXIR in Spain, which implies their involvement in several bioinformatics projects. These include contributions to the RD-Connect and the BluePrint data portal development from a technical and scientific perspective. Dr. Capella-Gutierrez joined the BSC in July 2017 coming from the Spanish National Cancer Research Center (CNIO) where he held a similar role. He received his PhD in Bioinformatics in 2012, awarded by the Center for Genomic Regulation (CRG) together with the Pompeu Fabra University (Barcelona, Spain). His work focused on applying evolutionary methods to different omics data to answer long-standing biological questions. From the beginning of his scientific career, Dr. Capella-Gutierrez has participated in different international consortia, which is reflected as part of his scientific publications covering an ample number of topics. His postdoctoral training was carried out in the context of an international project led by the KNAW-CBS Fungal Biodiversity Centre (Utrecht, The Netherlands) focusing on the development of a computational framework to obtain unique biomarkers to identify human pathogenic fungi species. Identified unique biomarkers were experimentally validated using clinical samples. As part of the validation, Dr. Capella-Gutierrez optimized a protocol for fungal DNA extraction from blood samples getting a sensitivity of one CFU per ml of blood from an input sample of just three ml. Salvador Capella-Gutierrez complemented his scientific and technological background by attending a number of courses on business management and administration, including the executive programme “Accelerate: Building Business from Science and Technology” by the IE Business School in order to improve his managerial skills and to gain a better understanding of how to professionally and efficiently work with other professionals outside the scientific world.